One of my core values is to try and shop local and from small businesses whenever possible. Rather than picking up something with your supermarket shopping this Valentine's day, why not check out what your local and small businesses have to offer? I would much rather give my £10 to somebody who is passionate about their business and needs our support than a faceless corporation any day. With this in mind, I have put together a guide featuring my favourite Valentine's gifts from local businesses here in the North East. Safron makes the most beautiful jewellery from her home in Northumberland by the sea (read our review of her work here). I adore these earrings and have in fact ordered some myself. £12 is a bargain I think. 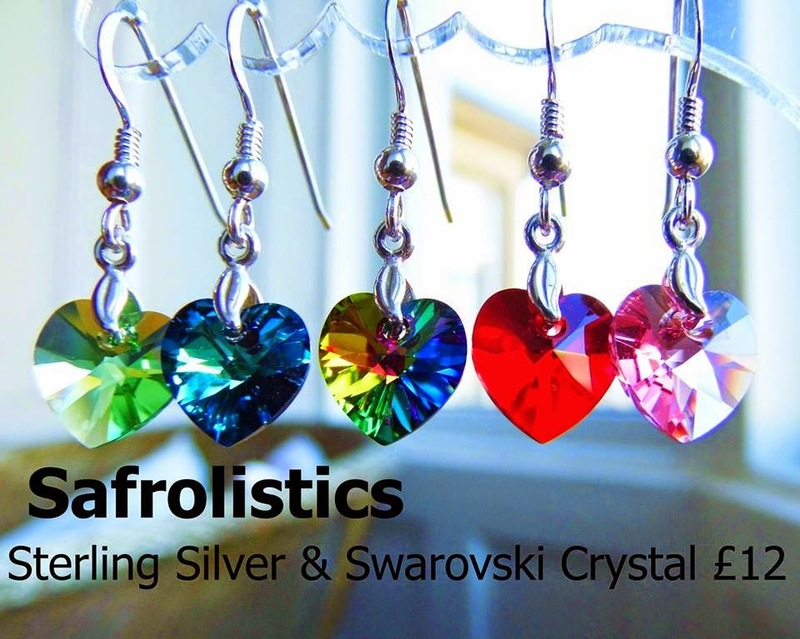 Visit Safrolistics to order. Camping can be glamorous (read our review from last year here). The bell tents at The Bells of Hemscott feature double beds with luxury bedding, bunting and chandeliers. What could be more romantic than snuggling up with a loved one toasting marshmallows over the fire. 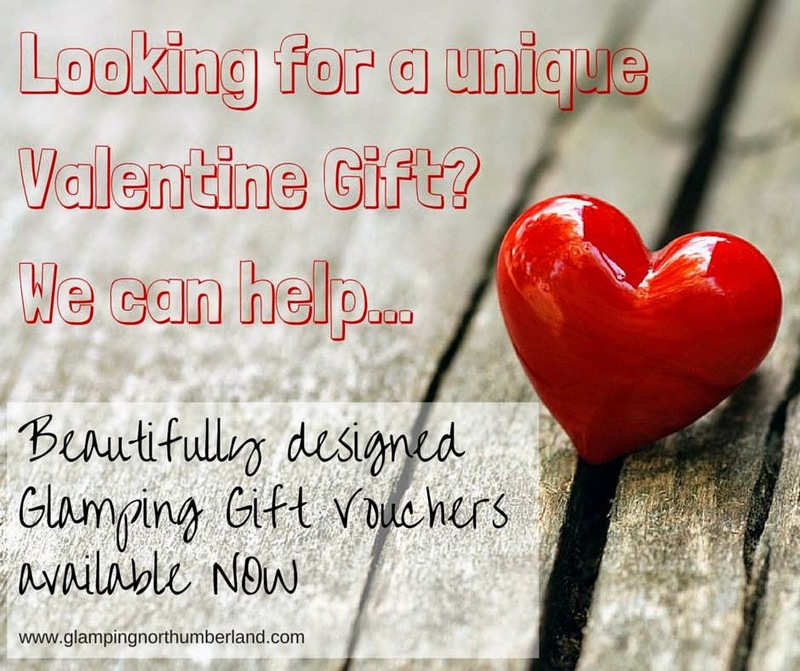 Visit www.glampingnorthumberland.com to order. Sammy Anne is the best therapist around (read our review here). Based in Whitley Lodge, her February special offer for a hot stone back massage and mini facial is only £35 instead of the usual £50. 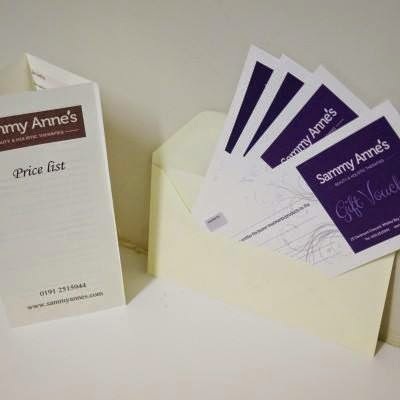 Vouchers can be collected from the salon. Visit www.sammyannes.com for more information. Priced at £1 each or buy 6 in a gift box with hand tied Valentine's ribbon for £6.50, I don't know anyone who wouldn't be happy to receive these sweet treats. Flavours change daily but can include violet, rose, raspberry and mango. 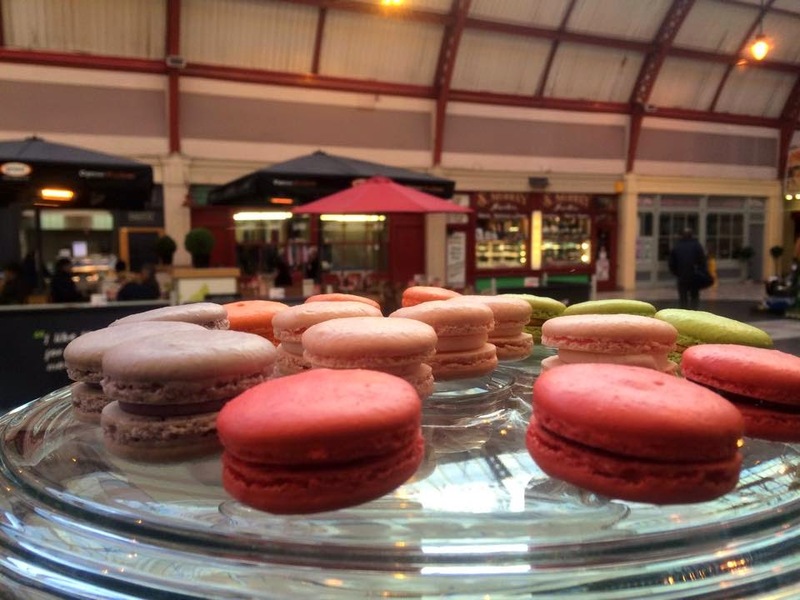 Visit The French Oven in the grainger market or order online. There are lots of designs available and orders are bespoke and can be personalised too. Prices are extremely reasonable. 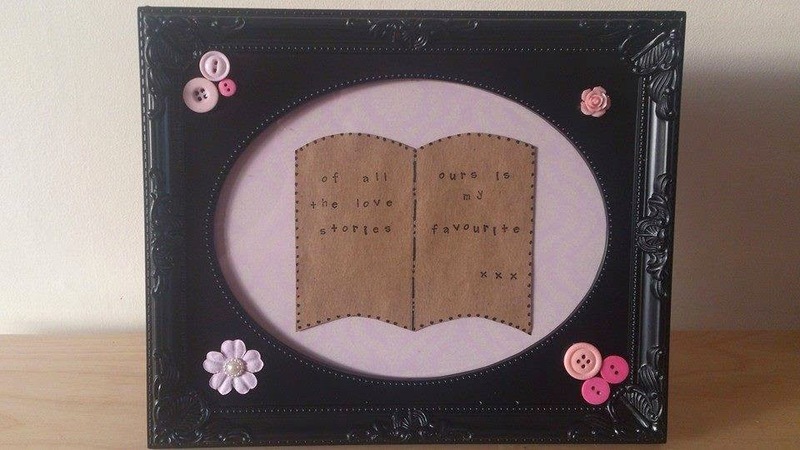 Visit Love Letters for more information and to order. These cupcakes are very cute. You can buy a gift box of 4 for only £5 which is fantastic value. Visit Kelly's Kakes for more designs and to order. I love all of these ideas and would really appreciate any of them myself (hint hint). It is hard to choose a favourite. 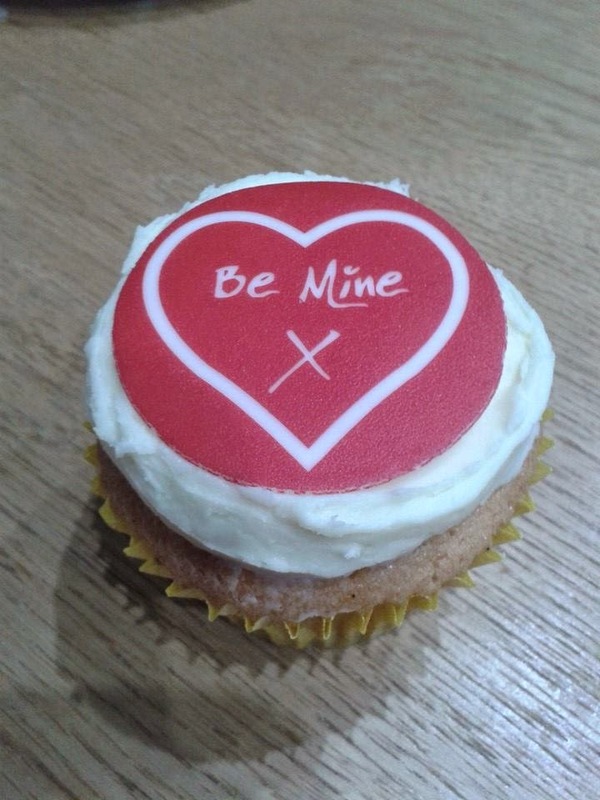 Will you be supporting local and small businesses this Valentine's day? I'd love to hear what your thoughts. It is hard to make shopping local a priority. Sometimes you just can't manage it. I try to most of the time but it's not always possible.